And shawl. 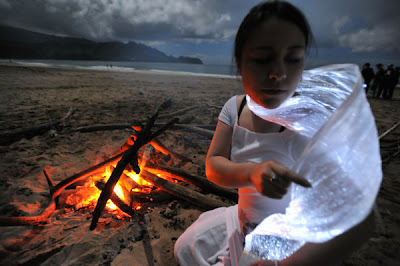 Both made from Luminex, a fiber-optic fabric imported from Italy. Alison Lewis describes the design process (and her collaboration with the bride) on Switch. p.s. 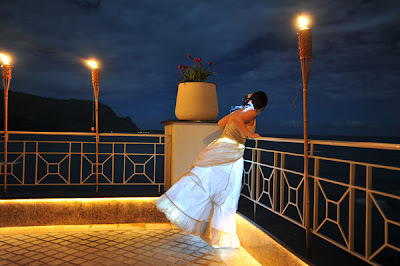 You might also like this LED wedding dress that can be converted to a lamp. are you kidding me? i am simultaneously torn between awe and disbelief. pretty darn cool. p.s. do you happen to know where your girl from practical schmactical has gone? i wanted to credit her with a terrarium purchase i just made and she is nowhere to be found! ... for the cirque du soleil bride! p.s. this morning i speared a goliath grouper that weighs EXACTLY the same as me. had to tell someone! i love these dresses. I'm a little jealous and want one, but I already got married, so maybe just for a party. i just read the designer's blog and it sounds like you can remove the lighted portion of the dress and use it for other dresses or occasions (Halloween anyone?). Most of all has given compliments on dresses but i liked the picture of bride with golden light effect. Its looking very nice.